What sets us apart? Reliability. It is the single most important aspect of our business. Whether you have a nine man sewer crew or a 60 man windmill development team, you don't want to wonder whether your product is going to be delivered. We recognize that time is essential on all production jobs and are adept at streamlining jobs to make a rolling production line of trucks. We are able to meet the most demanding schedules on production commercial trucking or service small retail deliveries. Because we do not own our own pits we will pull from wherever makes the most logistical and economic sense. Our relationships with our aggregate suppliers span decades and we often pull from multiple quarry, dock or pit sources on any single job rather than 'packaging' at the expense of your crew time. 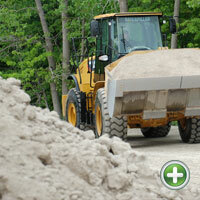 We also recycle asphalt and concrete and have multiple sites for dropping fill. 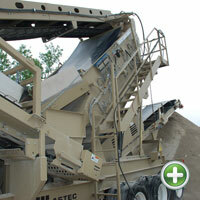 Our Prosizer is a small impact crusher coupled with a PEP high frequency screen. 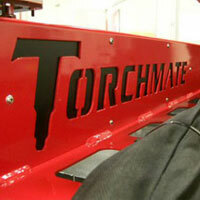 It is ideal for fines removal on products where a wash plant is not feasible. Aggressive screen vibration of 4200 rpm applied directly to the screen media enable us to take out far more fines than possible with a standard screener. 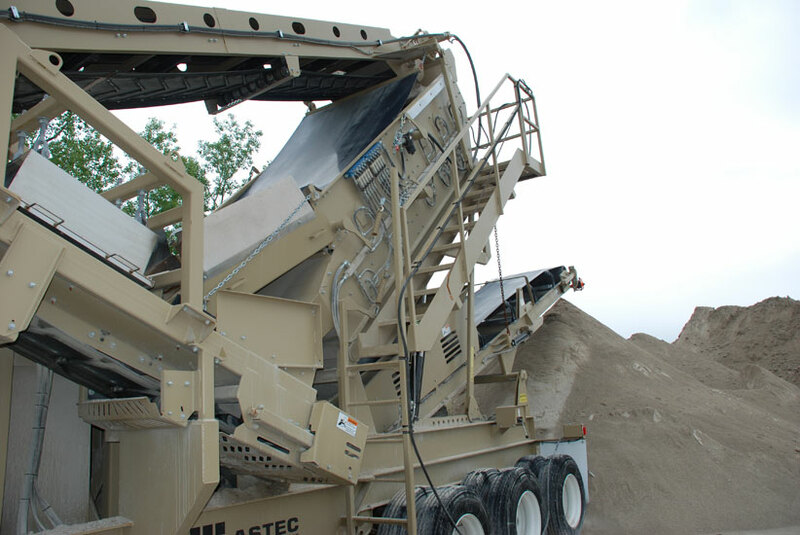 The crusher can be bypassed for strictly screening operations. Our Prosizer is portable and for hire. 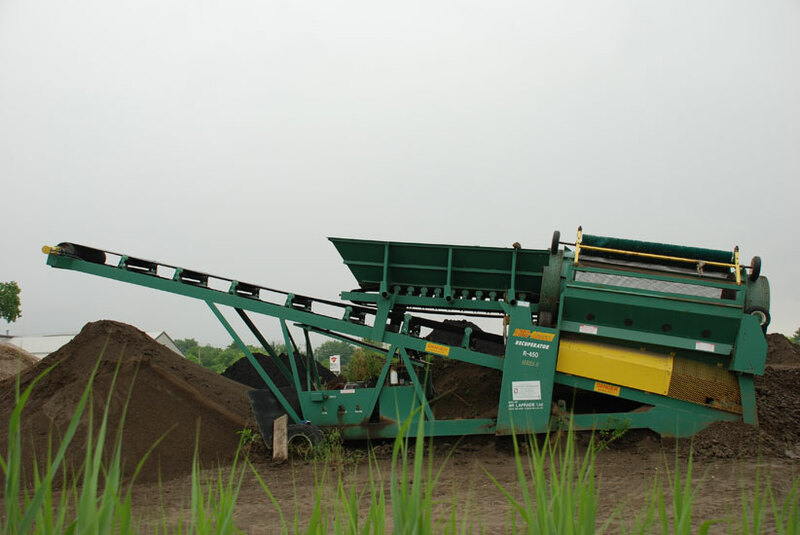 We utilize a Roto-screen trommel equipped with a 1/2 inch screen to remove any large debris from our topsoil and are able to blend a variety of soils in order to improve the nutrients or water retention in the soil. 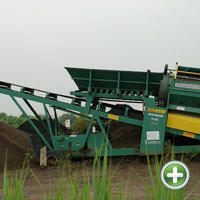 We mainly screen a lawn topsoil for grass or a triple mix garden soil. 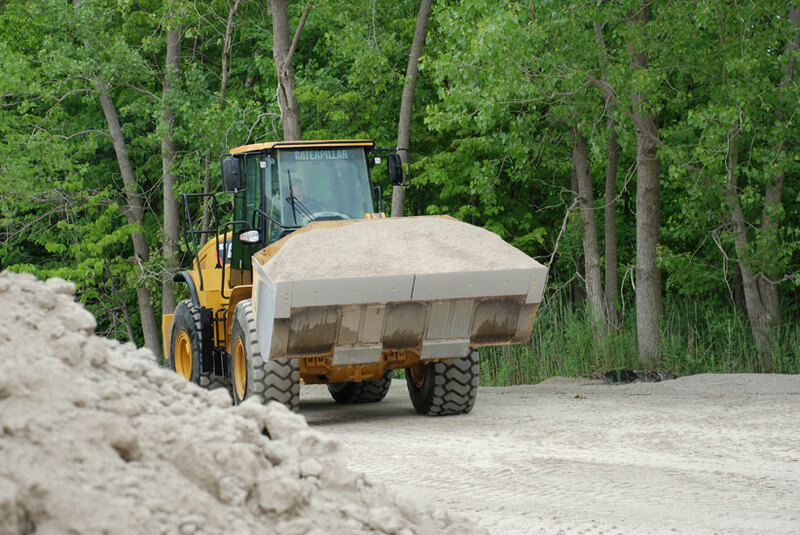 In addition to our construction wing we also do home deliveries and are often able to cut down on your labour by tailgate spreading or hopper spreading your driveway, parking lot or racetrack. 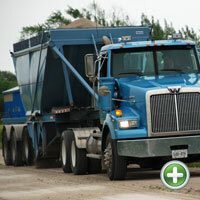 We also encourage you to take advantage of bulk supply by coming to our yard and loading on your utility trailers. We accept Visa, Mastercard and debit for retail sales. We have (2) 962 loaders with a 4.75yd bucket and a 5.25 yd bucket and a mid lift extension available for hire. They are both equipped with load rite scales and printers which make them excellent for use on satellite operations, as often happens when loading out recycled materials. You gain far more accuracy than simply measuring the pile. 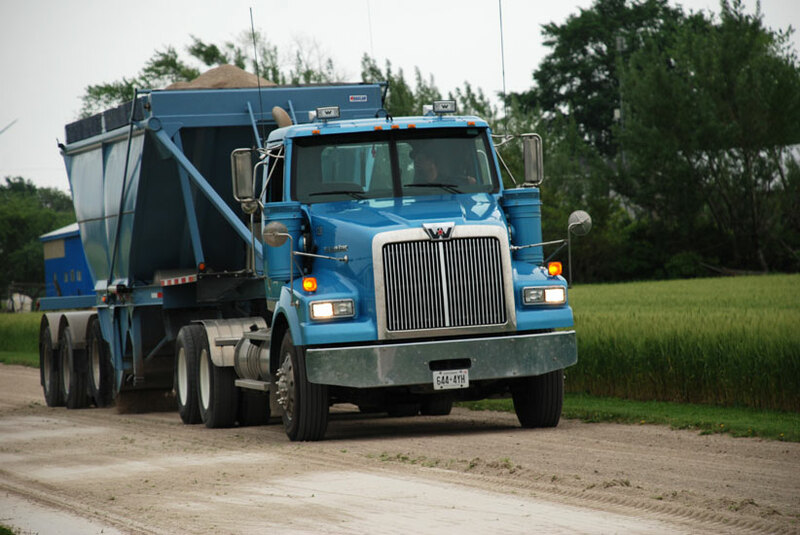 Rene Blain Trucking in Tilbury, Ontario has been a leader in supplying aggregate material like: Topsoil, Coldmix Asphalt, Rip Rap, Gabion Stone, Gravel, Sand, Crushed Stone, Clay, Black Dirt and more since 1947. 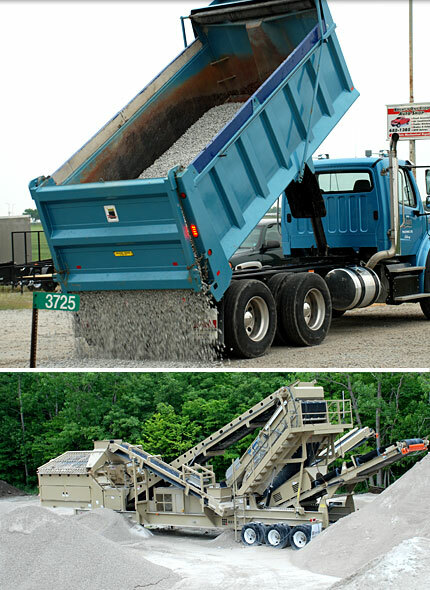 Our Reliabilty, Flexibilty and Experience in gravel delivery and gravel hauling has made Rene Blain Trucking the preferred aggregate delivery and aggregates supply choice of many residential and commercial projects throughtout Chatham-Kent, Wallaceburg, Leamington, Belle River, Essex and Windsor Ontario. So if your looking to buy gravel, sand or topsoil for your next driveway and landscaping project or require something more like a 25 truck fleet to supply aggregates for a massive Municipality, Windmill, Paving or Commercial project we are the aggregate supplier to call. Trucking isn't just a job, it's our Life!